So this is pretty much a blazer and blouse post because that's what I seem to have been drawn to lately. Zara has some really, really great blazers right now and I had some good shopping fate when I found blazers I was lusting over online in the store the other day. I bought this cute T. Babaton blouse at Aritzia the other week. 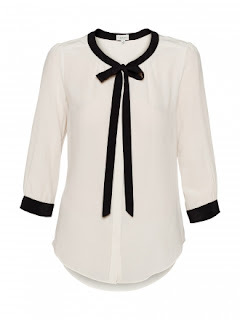 It's a good blouse to layer with blazers for work and the price is great. It also comes in an amazing blue/orange combo that my friend Amanda picked up and it's SO FUN! 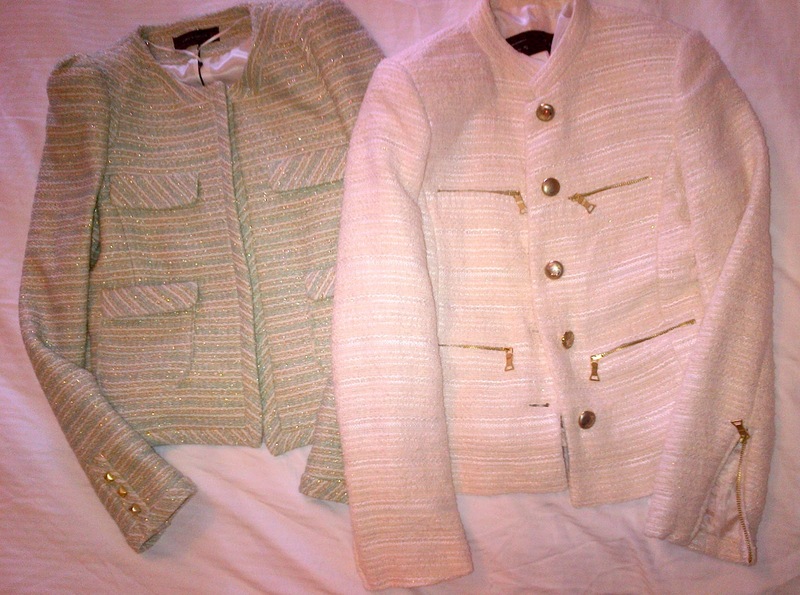 So I couldn't stop myself from picking up three Zara blazers (they're so great). My friends say I'm predictable but I can't help being a sucker for tweed. The prices at Zara are great and they're good wardrobe staples for work. Plus it was shopping fate that I could find my size in all three of them...right? I think my favourite is the green, gold and white Fantasy blazer with gathered shoulders. I love this for Spring! 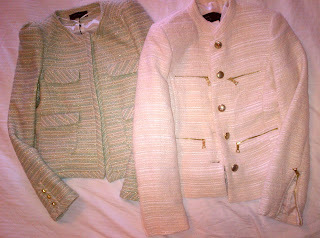 And the cream colour Piped blazer with Zips is a fun twist on a classic 'Chanel-like' jacket. 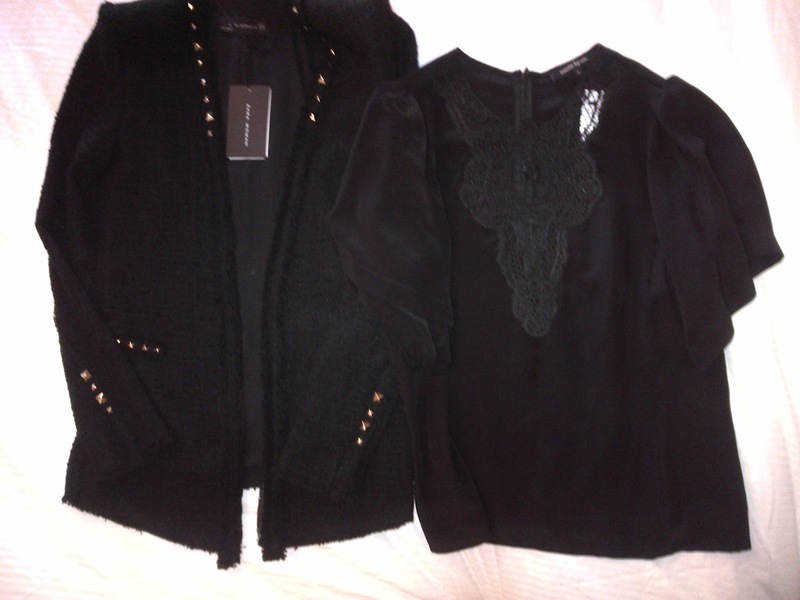 The last Zara blazer that I picked up is the Studded Fantasy Fabric Blazer and it's so cool! It's the same fabric but longer than the other blazers and has cool studded detailing on the collar, pockets and arms. I wore this to work yesterday with black cropped pants but I can't wait to wear it with a pair of wide-leg jeans. My last purchase is the Nanette Lepore Jitterbug top. It's silk with lace applique on the front and butterfly sleeves. It'll be good to layer with blazers or to wear on it's own on a night out. Surprise! Blazers and blouses. We are predictable! I love all of these! Especially the studded fantasy blazer. I was about to order the cream color Zara blazer when I found they had finally posted the black studded one for sale. I about died of happiness and of course, I ordered it instead (thought I'm still hoping to snag the others as well!) and it's supposed to be here Tuesday - I can't wait!! I LOVE the idea of wearing it with some wide-legged jeans too. 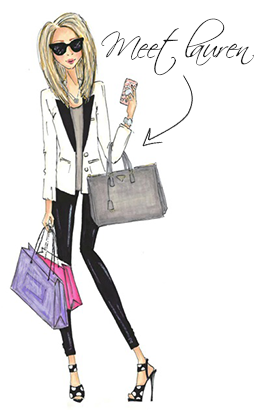 Thanks for checking out the site Fashion Nerd :-) I'm glad you like it! And I can't believe you got that amazing black blazer on sale - serious shopping fate! I'm jealous.